If you are looking for help with the development of lesson plans, resource sheets, units of work or even full schemes of work then I can help. I have had experience of working with School Sports Partnerships to edit, update and create schemes of work at both Primary and Secondary Level. 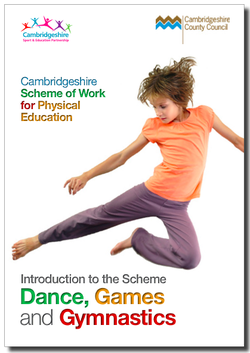 Most recently, I worked on the development of the Cambridgeshire Scheme of Work for Physical Education which involved the creation of 14 themed Gymnastics units of work progressing pupils through Gymnastics activities from Foundation Stage through to Year 6. The scheme was written with the non-specialist teacher in mind and was mapped upon the 'Principles of Progression in Gymnastics' so that pupils of all physical abilities are engaged in the learning process. Please get in touch if you think I can help with the development of resources specific to your setting or visit this LINK for more information about the Cambridgeshire SOW for PE.